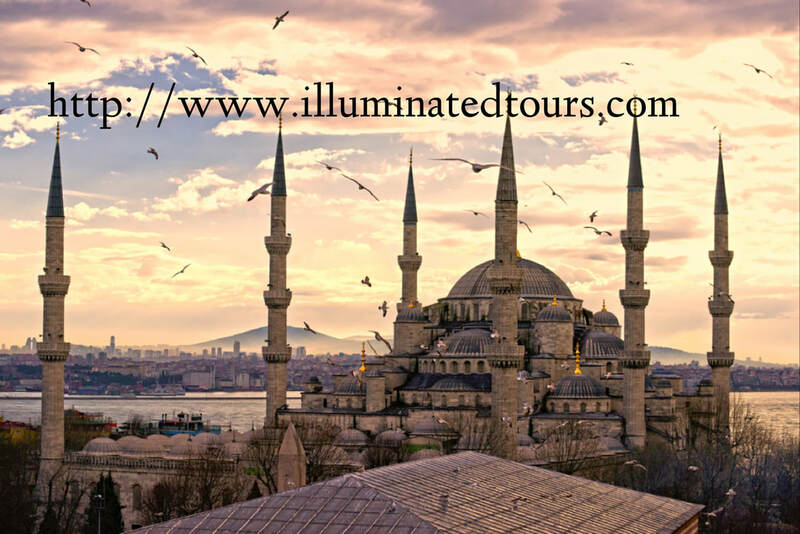 So what do you get by coming by on an "Illuminated Tours" to Morocco and Turkey instead of going on your own? The building are still just as beautiful, and the people are just as kind. But you get more out of the experience when you are part of an experience to discuss the inner meanings of the religions and historical context of Morocco and Turkey, led by someone with 20 years of study connected to these wondrous places. You'll learn about the spiritual teachings of the seven "friends of God", and how there is a profound connection to the spiritual legacy of the Prophet there. We will have in depth discussions about the role of religion in private and public realms, the magic of calligraphy and traditional arts, and the impact of colonialism. When you are inside the Haghia Sophia, you’ll learn about why there are no columns inside, and what that tells you about the spirit of God. When inside the Sultanahmet Mosque (“Blue Mosque”), you’ll learn about what this mosque has to do with the church across the street from a thousand years ago. And what all of that has to do with Rome and Jerusalem. When in Bursa, you’ll see why there is a water fountain inside a mosque, and what that has to do with Paradise. To learn all that and more, join us in Morocco and Turkey this year.